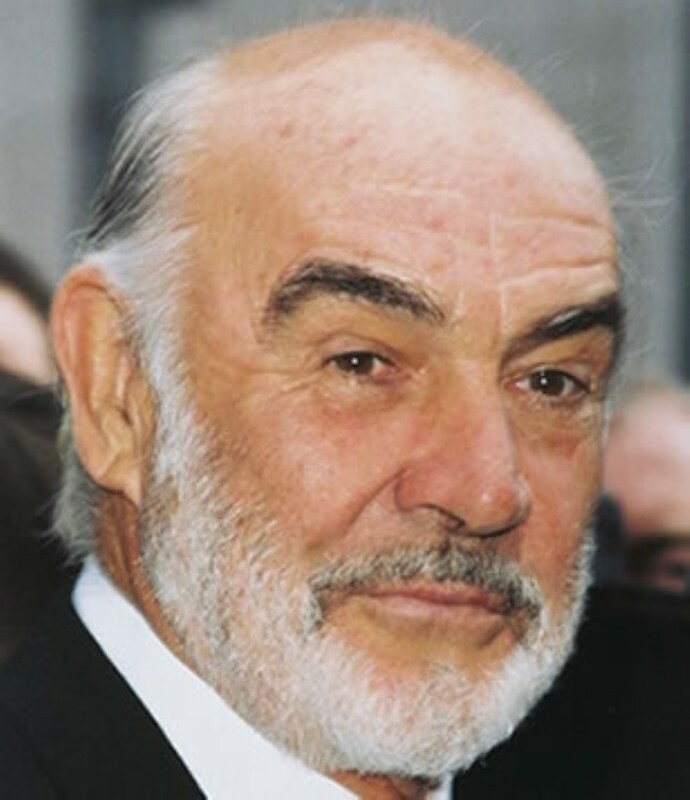 SEAN Connery has a secret link to Scotland's troubled past. The former Bond star's distant ancestor had to flee for his life twice when he was on the wrong side of both Jacobite uprisings. TV genealogist Anthony Adolph says he has found a link between ardent nationalist Connery and John Gordon, Laird of Glenbucket, who was on the losing sides in the 1715 and 1745 rebellions. The colourful Aberdeenshire laird had to flee to Norway, with King George's men in hot pursuit, after Culloden. Adolph said he unearthed some startling facts while researching Connery's ancestry through his mother for his new book, Tracing Your Scottish Family History. Exile Sir Sean is related to Glenbucket through Helen Gordon, who was born on the laird's estate around 1700. She was either his daughter or a cousin. Adolph said: "When I saw a picture of Glenbucket, I thought of Sir Sean in the film Highlander. "We don't have a DNA sample but when you look at the pictures, the resemblance is startling. "The simplest explanation is that they share the same Gordon genes." Glenbucket was one of Bonnie Prince Charlie's senior generals and toured the continent before 1745 trying to raise an army for him. But he also had dealings with George I's men between rebellions before finally deciding to throw in his lot with the Stuarts. Glenbucket had three daughters, who were all married to Highland chiefs. During the 1745 rebellion, he led 300 men and fled after Culloden. Adolph had done some research on the laird when he was working on Sir Sean's family tree. He said: "Glenbucket is not the sort of name you forget in a hurry, so when I was researching the new book, I came across a picture of him and was able to compare the two. "This sort of research, using records, clan lore, DNA and facial recognition is no longer the realm of the rich and privileged. "New resources, such as Scotland’s people website and the new centre in Edinburgh, mean everyone can do this sort of research for themselves." Born Abt. 1755 in Aberdeenshire, and died date unknown. Married Christian Grant on 21 Jan 1787 in Glenbucket, Aberdeenshire. Marriage: 21 Jan 1787, Glenbucket, Aberdeenshire. William Ross, b. 29 Aug 1789, Glenbucket, d. 28 Aug 1874, Glenaughten, Mortlach. James Ross, b. 30 Dec 1787, Glenbucket, d. 05 Feb 1861, Ballachdhuie, Glenbucket. Harry Ross, b. 04 Dec 1791, Glenbucket, d. 19 Oct 1869, Glenbucket, Aberdeenshire. John Ross, b. 14 Nov 1793, Glenbucket, d. date unknown. John Ross, b. 11 Sep 1796, Glenbucket, d. date unknown. Alexander Ross, b. 13 Feb 1801, Glenbucket, d. date unknown. died 28 Aug 1874 in Glenaughten, Mortlach. married Jean Stewart on 19 Dec 1811 in Mortlach, Banffshire, daughter of John Stuart and Jean Jane Gordon. Moved to Mortlach after marriage and first few children sometime between 1816 and 1818. Ann Ross, b. 28 May 1818, Mortlach, Banffshire, d. 20 Jul 1902, Commerce Street, Aberdeen. Isabel Ross, b. 1826, Banffshire, d. date unknown. George Ross, b. 1832, Banffshire, d. date unknown. Jane Ross, b. 14 Aug 1814, Glenbucket, d. date unknown. Christian Ross, b. 14 Apr 1816, Glenbucket, d. date unknown. Margaret Ross, b. 1812, Glenbucket, d. date unknown. William Ross, b. 24 Sep 1820, Mortlach, Banffshire, d. date unknown. John Ross, b. 15 Feb 1822, Mortlach, Banffshire, d. date unknown. James Ross, b. 31 Mar 1824, Mortlach, Banffshire, d. 18 Feb 1869, Glenaughten, Mortlach. died 18 Feb 1869 in Glenaughten, Mortlach. married Christina Ross on 04 Jun 1847 in Manse of Glenbuchat, daughter of Robert Ross and Isabella Tulloch. Mary Ross, b. 1847, Mortlach, Banffshire, d. date unknown. William Ross, b. 1851, Mortlach, Banffshire, d. date unknown. James Ross, b. 1853, Mortlach, Banffshire, d. date unknown. John Ross, b. 21 Jul 1855, Mortlach, Banffshire, d. date unknown. Jean Ross, b. 09 Nov 1857, Mortlach, Banffshire, d. date unknown. Christina Ross, b. 14 Jun 1860, Mortlach, Banffshire, d. date unknown. Margaret Ross, b. 27 Aug 1864, Mortlach, Banffshire, d. date unknown. died 25 Oct 1870 in Glenaughten, Mortlach. Born 21 Jul 1855 in Mortlach, Banffshire, and died date unknown.